Note, this article was originally titled: “Running with scissors (a bit more safely)”. Exposure to steady beat (hearing it, feeling it, “seeing it”, being moved to it) is important for a baby’s developing sense of steady beat. An internalized awareness of beat will help him to coordinate his movements. 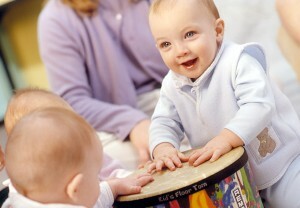 A baby who is beginning to internalize a steady beat will show it through rocking, nodding, patting and kicking. Later she’ll be able to demonstrate steady beat through clapping and playing a drum to a steady beat. Steady beat will be a key factor in his learning to walk. 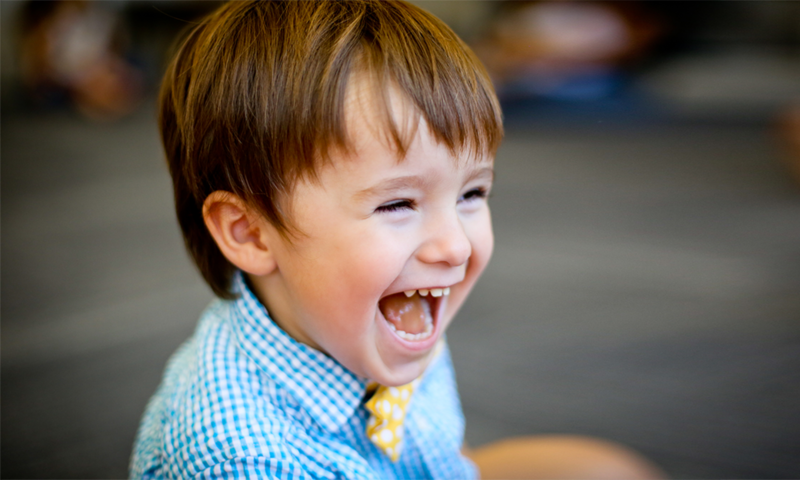 Children 18 months through 3 years old are learning to control and coordinate their body’s movements. The ability to keep a steady beat helps in walking with a smooth gait, leading to running and jumping with confidence. It is at this age that feeling and moving to a steady beat develops the ability to organize and coordinate movements with proper timing – like bouncing a ball and catching it. Steady beat competency is central to the development of movement organization, such a marching in time, dribbling and shooting a basketball, using scissors and writing smoothly. Being able to move their entire body to a steady beat leads to the ability to speak and read with a smooth cadence, thereby enhancing communication abilities. A sample study was done of first and second string NFL players. 100% of the first string players could maintain a steady beat without any external stimulus for 45 seconds. Only 50% of the second string players could accomplish the same. Tests show that children with steady beat internalization are better readers and more successful in math. Children with better abilities in steady beat are reported to be better behaved in class and have less aggressive physical contact with other students. It is well-known that a stutter does not stutter when singing or using a steady beat while speaking. A stuttering student figured out her own solution: when she wanted to answer a question, she tapped a steady beat on her leg before speaking. This allowed her to answer without stuttering. Steady beat helps children to understand and organize their world. So if you are going to run with scissors, make sure you’ve got a good sense of steady beat. You’ll run more coordinated and smoothly, and thereby be a little bit safer. – by Miss Analiisa, whose mother reported that at 2 weeks old, Analiisa consistently rocked in time to a piece of classical music that had been often played while she was in utero. But sadly, she was a horrible basketball player. Special thanks to Studio 3 Music for allowing us to share this great post from the Studio 3 Music blog. Studio 3 Music in Seattle, Washington, the world’s largest Kindermusik program.